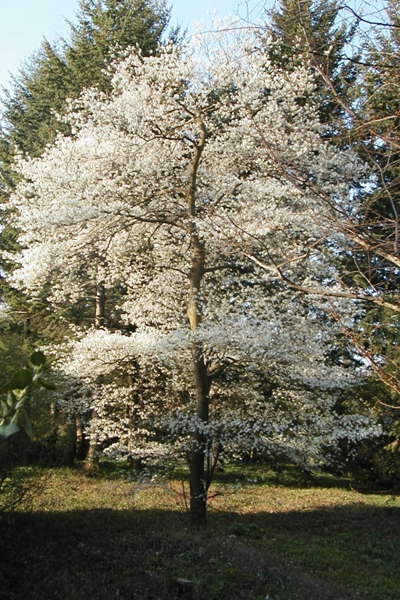 A 3’-18’ small suckering white flowering shrub. Produces an abundance of bluish-purple juicy and edible berries in July. Tolerates harsh climates and alkaline soil.